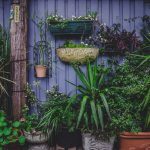 As old and as humble as they may be, a window box is an excellent way for anyone to enhance their homes’ curbside appeal. 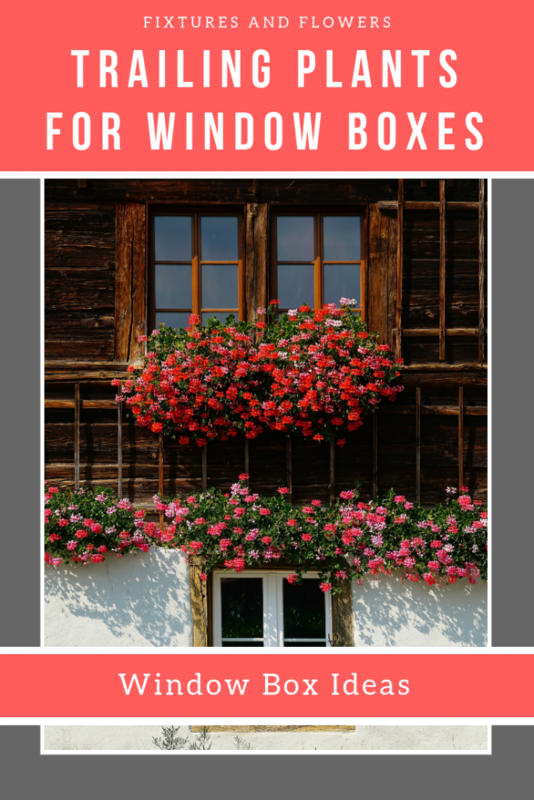 What’s so lovely about window boxes is that it doesn’t matter what the size, style, or surrounding environment your house has — there will always be a one to compliment it. Compared to a container planter on a porch or even a hanging basket, window planters is somehow the better option. It allows you to integrate a living plant material into your architecture. Additionally, window boxes are easy to maintain and gives you the ability to be flexible when it comes to choosing which plants to grow. Choosing the best plants for window boxes can be a bit tricky though. That is because there is a vast range of plants that will do well in window boxes. If anything, your only limitation is probably how creative you want to be in mixing and matching your plants. Trailing plants, for instance, are an excellent choice for window boxes. Trailing flowers, with their different colours, are enough to make a dull-looking house lively. What’s more, creating a pollinator garden is even possible using trailing flowers! Choosing the best trailing plants for window boxes can be tough when you don’t know what your options are. Do you know if all trailing plants are suitable for window planters? Will they all grow properly in a window box? Here’s our six favourite trailing plants for window boxes. Chenille plants are native to their tropical habitats like the Philippines and New Guinea. They are a member of the spurge family and is named after the French word ‘chenille’, which means caterpillar. Similarly enough, Chenille plants will provide your window boxes with both texture and crimson accents. Its flowers are quite unique in a sense that they grow downright and can reach up to eighteen inches in length. Being a tropical plant, it fully blooms in hot weather but is more tamed when in window boxes that it can only grow up to three feet. Keep in mind that Chenille plants are fast-growing and as such, regular fertilising is required to support its flowering and development. Putting it in a window box, however, means that the standard every other week feeding will not be enough. 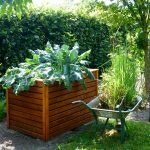 To make this process more cost-effective, you should consider using worm compost or even homemade fertiliser. A lot of people love strawberries, and rightly so. However, everyone who does can’t deny that it comes at a ‘premium’ price. And with strawberry farmers predicting that prices will go even higher due to lack of workers, there’s only one thing left to do — grow them yourselves. Besides, you have every reason to do so. For starters, you’ll be able to enjoy fresh strawberries right from the comfort of your home. Second, you don’t have to pay for them. 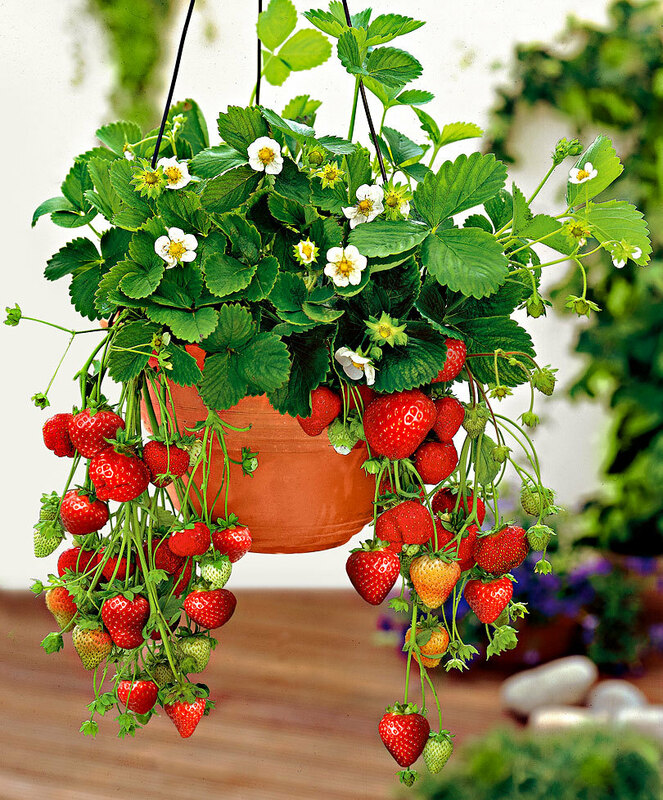 And third, strawberries’ trailing habit can soften any window box to add more curb appeal to your home especially with its bright white flowers with yellow centres. When choosing a strawberry variety to grow, choose one that is suited to your climate. Ideally, you’d want to go with the type that produces small berries and is certified as ‘disease-free’. These fruit-bearing plants love moisture with a well-draining and acidic soil. As a general rule, water your strawberries when the top inch of the soil feels dry. Buying plants can be expensive, and understandably gardeners are always on the lookout for cheap plants. The good thing about strawberries is that they can be propagated from cuttings. If you know someone who grows strawberries, you can ask to take a cutting from their plant. Although sweet potato vines are in the same family as edible sweet potatoes, they have been bred for the beauty of their leaves instead of the tubers. Sweet potato vines are more of ornamental plants which means that eating its leaves is not advisable. They’re not poisonous, however, but will taste bitter and bland. These plants thrive well in a garden soil that is well-draining. They also need to be fertilised regularly especially during their growing season. As far as location goes, sweet potato vines will do well in full sun to part shade. This trailing foliage plant will look perfect in window boxes together with your trailing flowers. 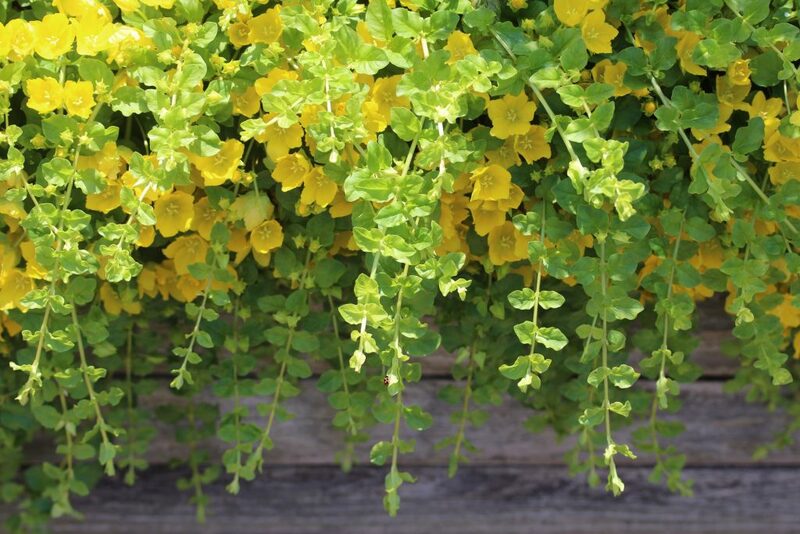 Another lovely ornamental plant is the Golden Creeping Jenny. 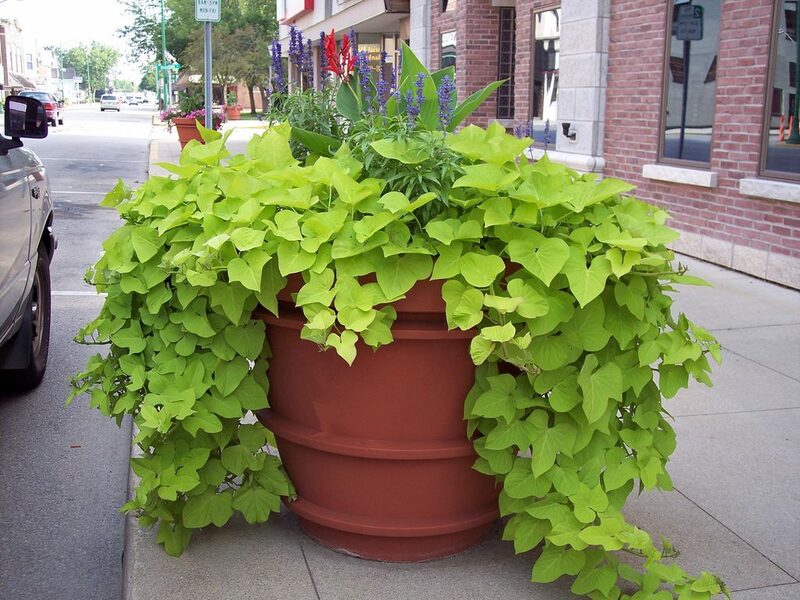 Similar to sweet potato vines, these are also foliage trailing plants. It is a perennial plant that is incredibly easy to grow, but despite its beauty, it is considered as an invasive plant in some places. 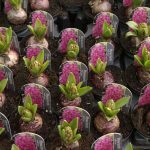 When choosing a variety to grow, go for the golden or ‘Auria’ varieties as they are not as intrusive as the green ones. It will produce small and bright yellow flowers though they don’t last long. But that’s totally alright because this plant is not known for its flowers but for its foliage. It’s also worth noting that Creeping Jenny is different from Creeping Charlie although they have a lot of similarities. However, the former is actually a ground cover plant while the latter is a low-growing weed. Growing Creeping Jenny in window boxes is as straightforward as it gets. It prefers a moist and well-draining soil and thrives best in full sun or partial shade. Be extremely careful, however, when disposing of your pots once the season is over. The Creeping Jenny can quickly establish itself and you don’t want to get on the bad side of your neighbours should it suddenly invade their lawns. 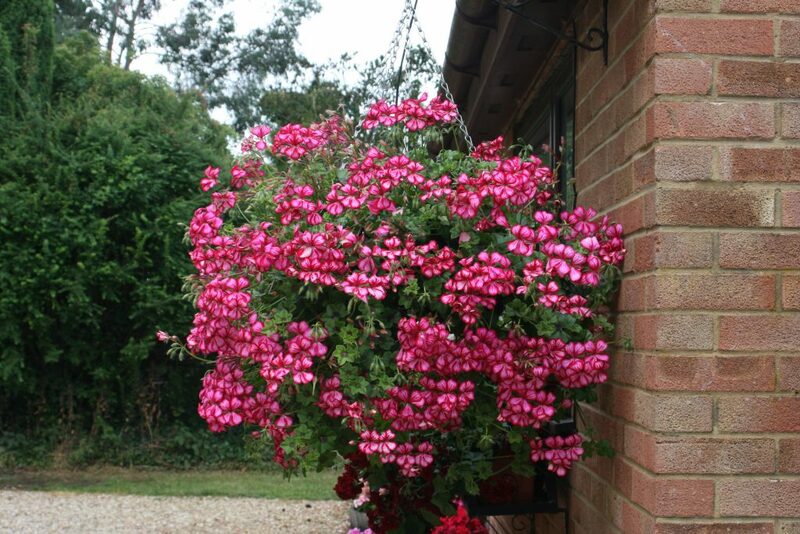 There are many different cultivars of trailing geranium ivy that is available to all types of gardeners. Attractive foliage and perky blossoms are what these plants are known for especially when they spill from window boxes. The colours of geranium Ivy plant blooms have semi-double flowers from white to red, as well as most pastels in every hue except blue and yellow. These plants thrive in full sun as long as the temperature remains below 27 degrees Celsius. If it’s too hot outside, they need to be placed in partial shade. You will know if your geranium is suffering from too much sunlight when you see small, cup-shaped leaves and small blooms. If you plan to grow these plants on window boxes, know that regular watering is crucial. The soil needs to have just the right amount of moisture — not too much and not too little. 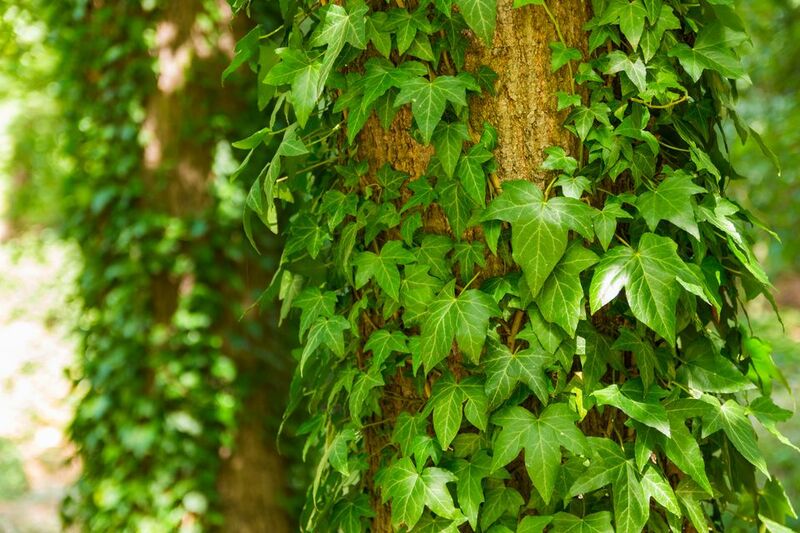 English Ivy is known for being excellent ‘climbers’ as it is able to hang on to any surface. Their vines can grow up 50 feet or even longer but that’s only when they’re grown outdoors. The good news is that this amazing plant can also be grown on window boxes. When done so, you’ll be able to control the extent to which its vines will grow — just enough to look attractive. The English Ivy is very versatile and will do well in any kind of box you put it into. Choose varieties with cream or yellow accents on the leaves if you want more colours. You’ll be amazed once the vines start tumbling over the edges. Caring for the English Ivy is simple although there are a few things that you need to pay attention to. First, it needs soil that is rich and organic which means you’d need to apply compost to it before planting – a popular soil improvement technique. Second, the English Ivy will be able to tolerate dry conditions when they’re already established, but their vines will grow best when there’s plenty of moisture. 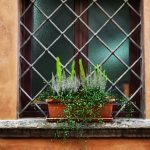 Trailing plants are some of the best plants for window boxes! 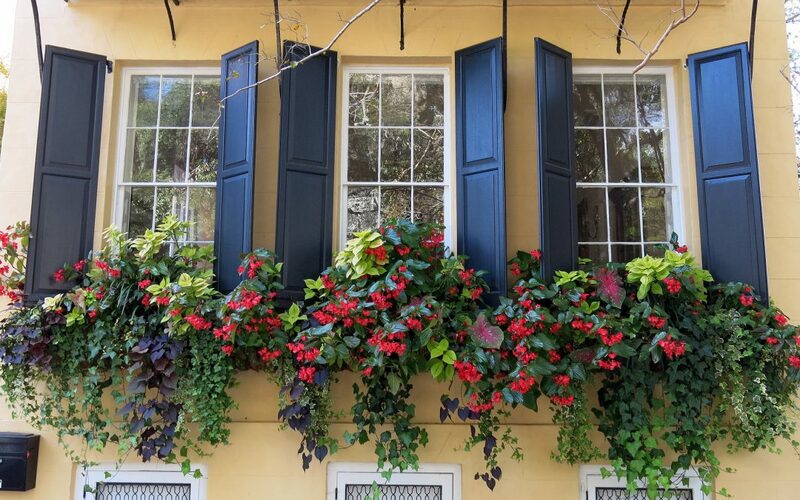 And that’s a wrap for this guide on the perfect trailing plants for window boxes. Feel free to explore other options if you don’t find what you’re looking for in this list. Whoever said that you need a lot of space to do gardening is apparently mistaken. In fact, you don’t even need one as long as you have windows! Hi Suzanne, That’s a shame you’re not allowed them here in the UK! I’m sure the ones in Bavaria looked beautiful. I’ve never had the pleasure of visiting – are there lots of window boxes about there? I hope you had a wonderful time. I love hanging plants and grow strawberries and tomatoes in this way. It’s a great way to protect the fruits from slugs and other pests. I have a creeping Jenny in my pond and it’s ‘crept’ so much this summer that it is taking over that section of my pond! A prune in the Spring is in order! I’ve never see the chenille plant before! It’s awesome and so pretty! Will definately look out for that one. 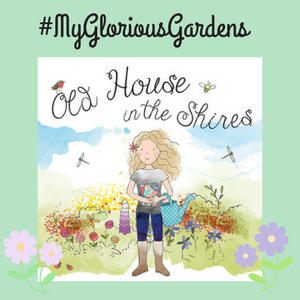 Thank you for joining in with the August #MyGloriousGardens link party Emma. Always a joy! That is a really clever yet natural way to protect your fruits from pests. What a brilliant idea! For some reason, I never thought to grow tomatoes this way, but now that you’ve mentioned it, it makes a lot of sense. That’s the only thing with creeping plants, you do need to keep on top of their ‘creeping’ haha! I’m currently battling some ivy that had been left to creep for too long. I love all these ideas for window boxes! I have strawberries and fuchsias in hanging planters. 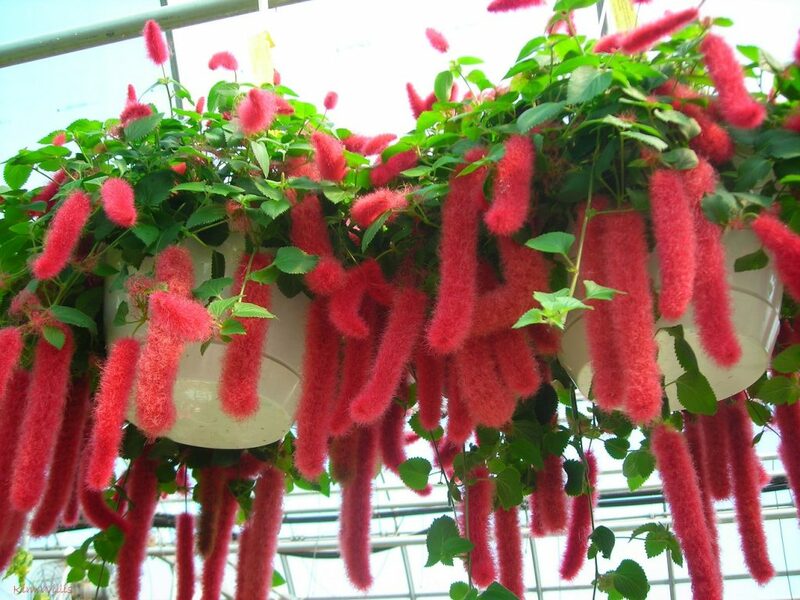 Those chenille plants are very unusual looking! I’ve seen them at garden stores around here. Definitely an exotic looking plant. Thank you for sharing at the August #MyGloriousGardens link party!